Holmes Beach commissioners want to remediate the highly toxic Spring Lake. But whether the water body between 68th and 70th streets should return to fresh water origins or a subsequently transformed saltwater ecosystem will be studied next. At an Oct. 9 work session, city engineer Lynn Burnett called the ammonia levels “highly toxic” and agreed with a Sept. 5 report from city consultant Aquatic Systems Lake & Wetland Services of Pompano to reclaim a fresh water ecosystem. 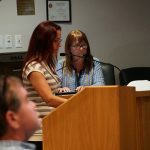 But after a neighbor spoke of the lake’s past saltwater success, Burnett called for a second study from the consultant. A counterpoint came from resident Melissa Williams of Palm Drive. “I’m totally against making Spring Lake a fresh lake,” Williams told the commissioners, adding the lake was saltwater at least since the 1960s. She recalled the fish nursery regenerating in the lake after a 2005 fish kill due to red tide. “I’ve pulled tarpon out of it. I’ve pulled snook, drum, red fish… .It’s a little nursery. It’s a habitat. It’s a breeding nursery … Albeit it was a fluke, it became vital to the island,” Williams said. Williams, who moved to Palm Drive in 2004, also said the lake provided relief from flooding. Commissioners Carol Soustek, Pat Morton, Rick Hurst and Commission Chair Judy Titsworth provided a consensus for the second report. Titsworth agreed with Burnett’s opinion on dredging but noted the expense involved in sending dredged materials to Lake Okeechobee. 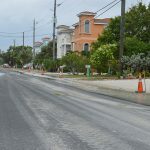 The city engineer said her reasoning stems from science, engineering and classification — a saltwater system needs a constant flow and is subject to king tide flooding and sea level rise. “It was an accident and mistake that went unnoticed,” Burnett said of the lake’s Southwest Florida Water Management District fresh water classification. “The district never changed it. We’d need to formally put that in the place,” Burnett said. Aquatic Systems Lake & Wetland Services took samples of Spring Lake between 68th and 70th streets in August and September and reported algae blooms, decreased oxygen levels and toxic ammonia levels. Phosphorus and nitrogen counts — indicators of excess nutrients and fertilizer runoff — also were high. 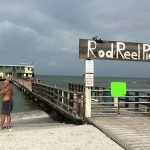 The Aug. 20 and Sept. 5 samples showed “severely elevated readings” for chloride salt conductivity, total dissolved solids and total suspended solids, the report states. 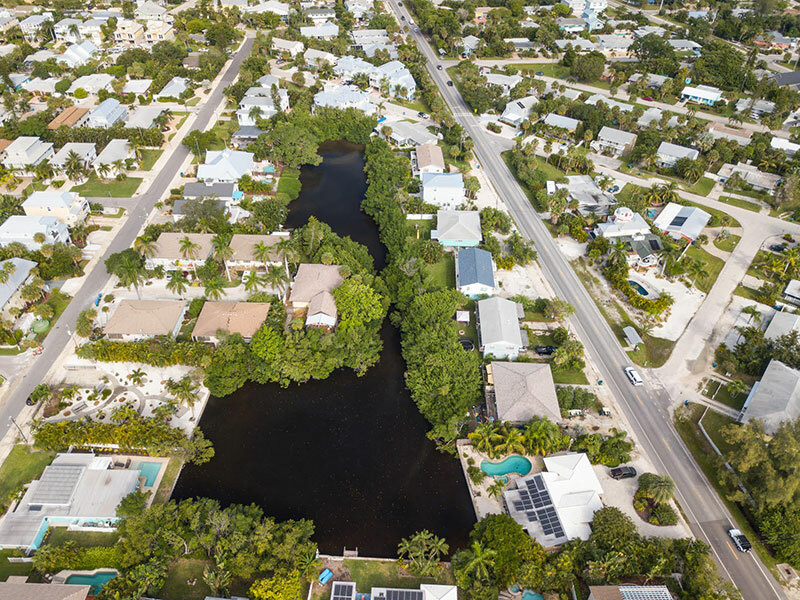 For several years, residents have complained about the once-pristine saltwater lake becoming a smelly dumping ground for sewage and development, most recently after a sewage spill at Clark and Palm drives in August. “We need to find a way to fix it. We can’t just ignore it,” said Soustek, adding she would favor less expensive and less destructive methods. To help alleviate the problem, the city added Wastop valves in 2018 and, in 2017, installed an infiltration system, which, according to Burnett, filters 90-100 percent of the nitrogen, phosphorus and suspended solids from the lake. In an Oct. 11 email, Burnett said she’s contacted the ASLWS for a saltwater/fresh water analysis, but there’s no date set for the next commission presentation. The commission’s next meeting will be at 6 p.m. Tuesday, Oct. 23, at city hall.